Large - $121.99 Only 3 left! Not expecting to find fan apparel at a costume site? 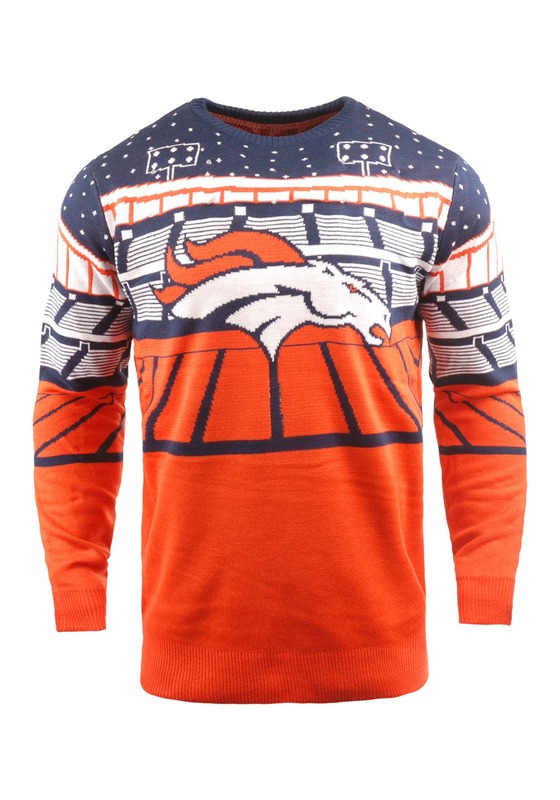 Well, this Denver Broncos Ugly Christmas Sweater is right up our alley. And that's because our next favorite thing after Halloween parties would just have to be Ugly Sweater parties. And when you can support your favorite team to boot? Well, that's definitely something we can support! 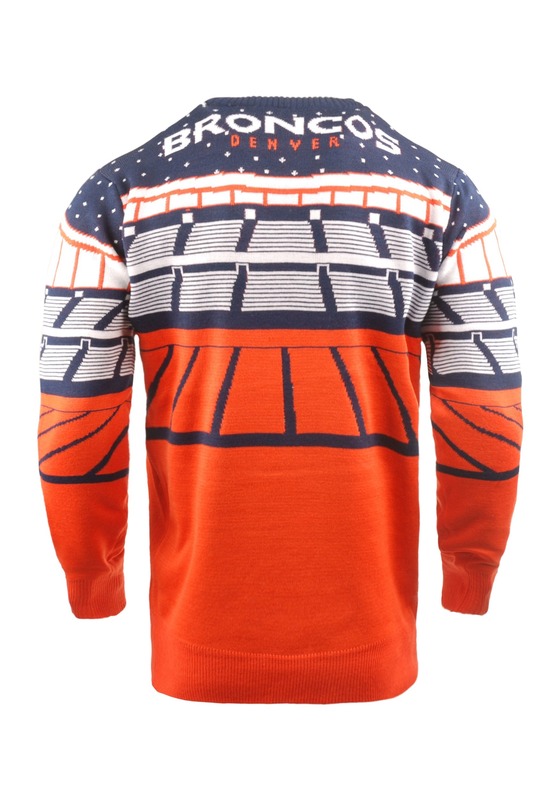 Let's get you familiar with the Denver Broncos Light Up Bluetooth Ugly Christmas Sweater. 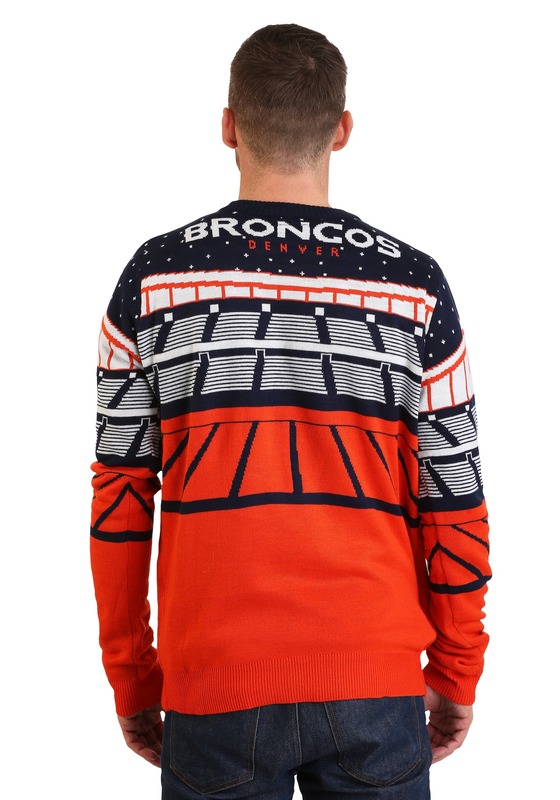 It's NFL officially licensed and features signature fan style. And not just that, either, since it's got some pretty high-tech features. Along with the knit team pattern, it has integrated LEDs in the chest and they light up when you connect the sweater to your smart device via a Bluetooth connection. That's right, Bluetooth! The lights even flash along to the beat of your favorite song. This sweater just needs 3 AAA batteries to power up all the effects, and you'll be ready to show off your "ugly" fan style! We know showing off your stuff at the ugly get-together is a pretty big deal, so we say, we not support your favorite team while you're at it! 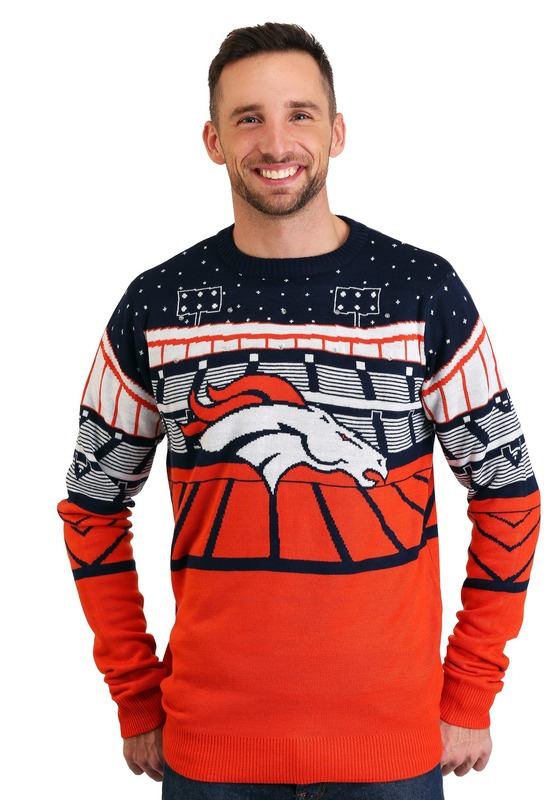 We think that's a great idea, which is why we've got this Broncos sweater, along with other officially licensed team ugly sweaters, too. Shop our entire selection of ugly sweaters to see even more licensed themes!